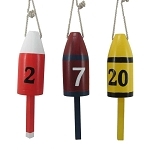 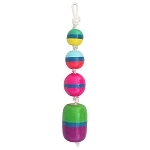 Boost the party spirit with a 35" strand of four brightly colored distressed buoy floater replicas. 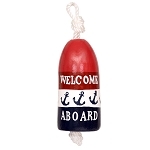 Carved wood pieces are painted in red & white, white & blue, yellow & white and white & green to look like buoy floaters on a rope. 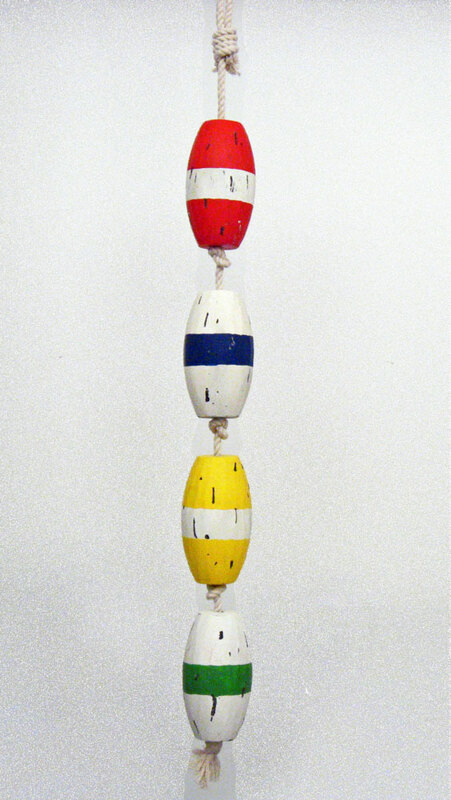 Rope: 35" long; Floater: 6"L x 4" diameter each; 1.8 lbs total weight; painted wood & rope. 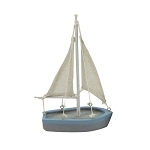 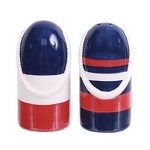 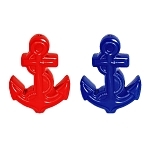 Cheerful accent on a buffet or tables at a beach or nautical themed event. 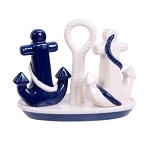 Flank a doorway with a hanging pair or one over the archway. 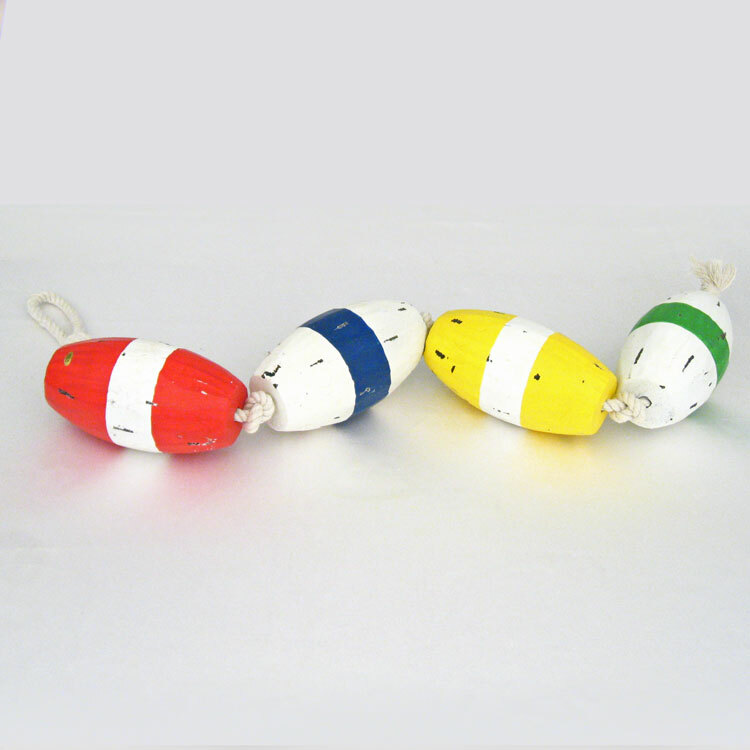 These bright color buoys add a fun touch for pool parties and an ocean or sailing themed event.